Just one day after Apple was dealt a pretty big blow in China – Qualcomm was granted a preliminary injunction against the brand – the company is once again facing further issues. But this time, the problem lies in Egypt. 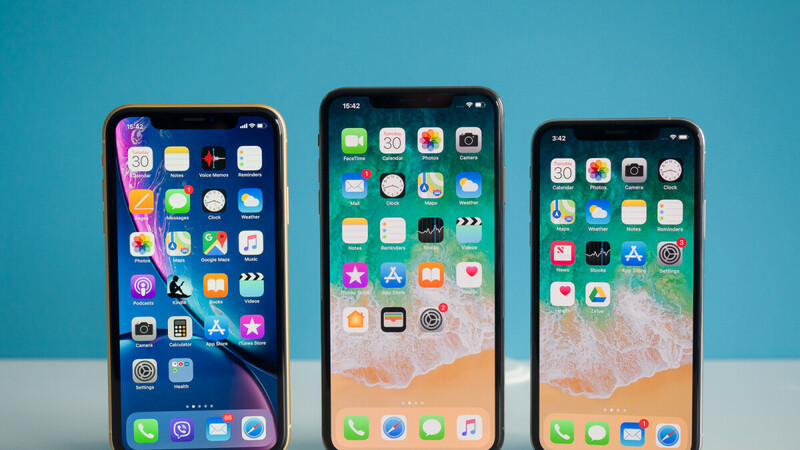 Apple’s iPhones have never been the cheapest smartphones on the market but this year the company has raised its prices to previously-unseen levels across the globe. One of these markets is Egypt, where the Egyptian Competition Authority (ECA) feels Apple has placed “unfair restrictions” on local distributors. As it stands in the country, Apple’s iPhones can only be purchased through a number of official sales channels. This, according to the local authority, is designed to limit competition and is why Apple has been able to maintain such high prices in the market. For reference, an iPhone XS Max 512GB can be purchased for $1,668 in the neighboring United Arab Emirates. But in Egypt, the flagship device costs a whopping $1,983. As a result of these findings, which were determined by a two-year investigation, the ECA is ordering Apple “remove any restrictions on the ability of a distributor” to sell iPhones in Egypt within the next 60-days. If the Cupertino giant fails to do so, the ECA will proceed with legal action. This kind of stuff is bs. Apple...Google...whoever...they should be able to charge whatever they like for their products. Especially if there are other options...it's not like the iPhone is the only phone available. Be it Apple or any other brand, if they can set the price without any regulation, this causes a huge market inflation which affects the entire industry. Just for reference, due to the "Apple effect" every smartphone in egypt costs way more than any neighbouring country. if Apple can get away with it then other manufactuers are encourged to do the same. I wonder how much of that high price is tariffs and the countries' taxes being layered on. The industry standard is to take the price of the phone in the home country, add 3-7% import, then add the tax of the country. Doing this would make the price of the iPhone 300$ more than it needs to be in Egypt. Again we are talking about Egypt here but since the iPhone 7 apple has been over pricing their phones drastically in many regions outside the US. the official Apple price of the Xs max (512GB) here is 6130 AED which is 1679$. where did you get your price phonearea? And how will this affect the price, if Apple (or whoever) sells the same phone, at the same price to 1, 10 or 10k Egyptian distributors? You dont need legal action. Just have the Egyptian court ro just ban any phone that costs over a certain price. I still wanna know how Samsung and Apple are pricing phone sold outside the US. How is it the iPhone at $999 and the Note at $999 dont cost the same in every country that both are sold in. It because Samsjnf sells more phone overall in each country and they have to payless taxes or import taxes?